HVACs are the backbones of modern commercial buildings systems’ comfort and safety. Their efficient functioning is critical to the safety of your investment and customers, and comfort. We at Your Phoenix HVAC – Air Conditioning Service and Repair understand what HVAC systems mean to you and we endeavor to have them running in the shortest time. We are more than just a conventional HVAC company. We are a professional world-class organization that offers commercial HVAC Services including but not limited to installation, maintenance, replacement and repair of a wide range of commercial and HVAC systems. If you are looking for a Heating & Air service provider to maintain, upgrade, install or replace your systems, you can be sure we have your needs covered. With so many companies offering commercial HVAC Services you would be right to question whether you really their services. The truth is; you do. Smooth and efficiently running HVAC systems not only boosts the safety and comfort of your commercial property but it is also a vital energy saving solution to help you cut on electricity bills. Our team of Phoenix HVAC professionals would be glad to give you a data-based approach on how to improve safety, customer service and save lots of money by optimizing the use of efficient HVAC systems. We understand that today’s mechanical systems are complex and if not monitored closely could cost you a lot on expenses so we incorporate little tweaks that optimize their overall performance while cutting down on costs. To achieve this, we blend industry leading technology with expertise and dedication to satisfying the unique needs of our clients. Air conditioning is at the heart of our Phoenix commercial HVAC service. If your air conditioning system is not functioning normally, your commercial property may not be running efficiently and your customers may be experiencing some discomfort. An air conditioning system is an enormous investment and when something goes wrong with it you need a commercial HVAC service provider to get it working. That’s where we come in handy. With so many years’ experience dealing with air conditioners you can count on us as a dependable air conditioner contractor. Not only are our friendly staff trained on how to install, repair, replace and upgrade air conditioners in not time, but they will also undertake a system diagnostics and inform you on any other potential problems associated with your Phoenix AZ HVAC system. A heating system provides warmth to your customers, especially over a cold season. We are an end-to-end heating systems specialists offering a wide range of heating systems packages as part of our commercial HVAC services. Even though our heating systems are customized to meet the unique needs of our customers, they all share one thing in common; they are all designed to ensure comfort, quiet operation and minimal energy consumption. Moreover, we do heat load calculations on every commercial property to ensure that we get a perfect fit system for your property. On HVAC systems repair; our technicians will study the signs of a malfunction and pinpoint the problem in the shortest time. As an ideal part of our Commercial HVAC service, they will diagnose the root cause of the hitch and fix it ensuring the problem does not recur. Repair is not always the most cost-effective solution to HVAC systems, especially if the equipment is old and has been mended over and over. Instead, replacement becomes a more viable solution. 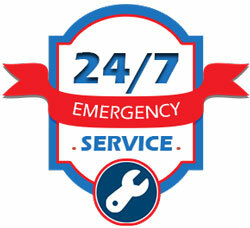 HVAC systems replacement is part of our commercial HVAC service packages. We will provide you with high-efficiency systems that will give you many years of reliable service and ensure that the installation is done well so you don’t have to worry about it in years. Besides, our replacements come with years’ warranty. Your Phoenix HVAC – Air Conditioning Service and Repair does regular testing and routine maintenance on commercial buildings as part of our commercial HVAC services. Routine maintenance is an importance preventative measure to ensure that a possible system break down is prevented. “Prevention is better than cure”, so they say. Don’t wait till the system breaks down before you give us a call, get in touch with us today we will assign a dedicated technician to your property to maintain all the ideal elements of your HVAC systems. Our commercial HVAC Services are not limited to air conditioners and heating systems. We also do building automation systems, maintenance service overhaul, cooling towers, heat exchangers, boilers and retrofit services for Restaurants, Bars, Apartment Complexes and numerous Phoenix AZ commercial clients.